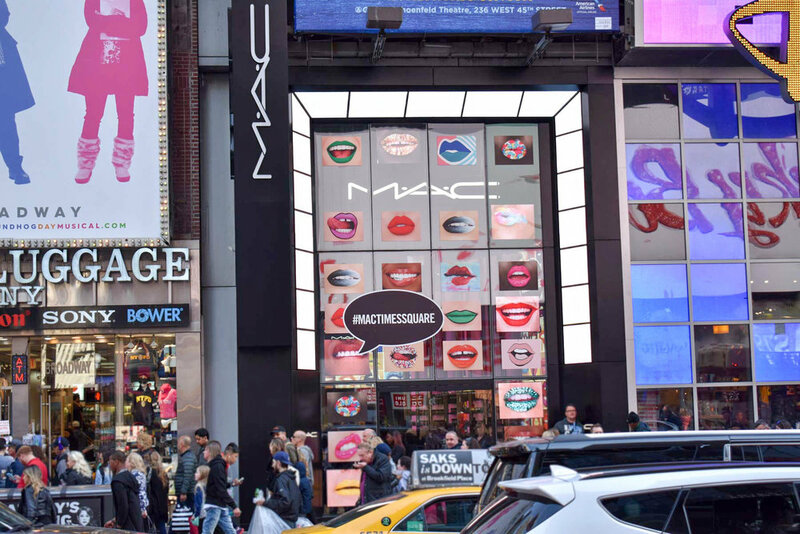 A major cosmetics company employed Sansi North America (SNA) to add an exterior LED display at the entrance of one of its retail storefronts located at 1540 Broadway in Midtown Manhattan. 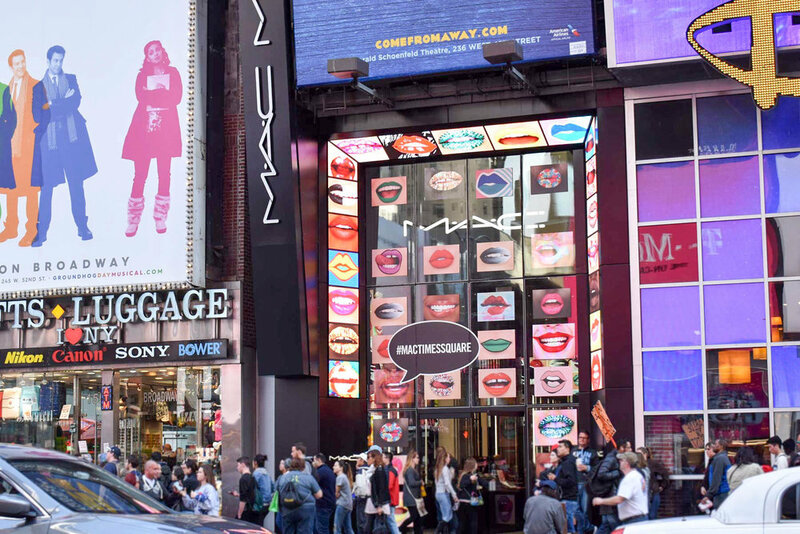 Disney, Forever 21, Planet Hollywood, and MAC are just a few of the tenants residing on the ground floor of this busy locale at the intersection of Broadway and 46th Street in Times Square. 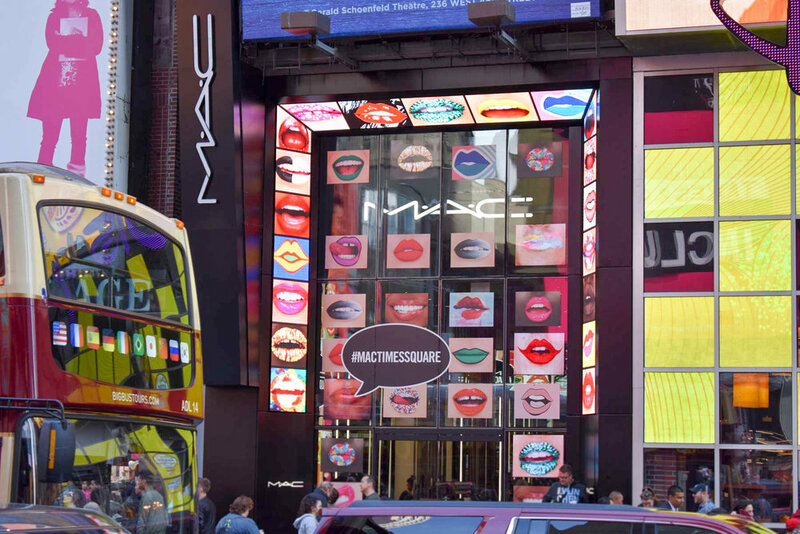 This new and unique video display serves as a dynamic, visual gateway for customers entering and exiting the store. The beveled, arch-like display is the first outdoor LED display in Times Square to feature a very tight 5 mm pixel pitch, meaning the center of each pixel is only 5 mm (.20”) from the center of an adjacent pixel. Outdoor LED displays typically have a much wider pixel pitch, with the majority of exterior Times Square displays being 10 mm or more. To provide a comparison of the density of pixels, a 12” x 12” area comprised of pixels with a 10 mm pitch would include 900 pixels (30 x 30), whereas the same area with a 5 mm pitch includes four times that amount, 3,600 pixels (60 x 60). Simply put, four times the pixels means a drastically higher display resolution—ideal for this particular display due to its detailed, vibrant content and close proximity to viewers. The one-of-a-kind display measures 15’10” tall by 16’9” wide and is recessed 2’5” at an angle. The inclusion of 10 custom-engineered panels of various shapes, including triangles and trapezoids, provide perfect seams and alignment. SNA created these custom panels to achieve the 116-degree compound angles. The rear-access display also features cabinet doors mounted with air spring hinges for easy accessibility to the electronic components. 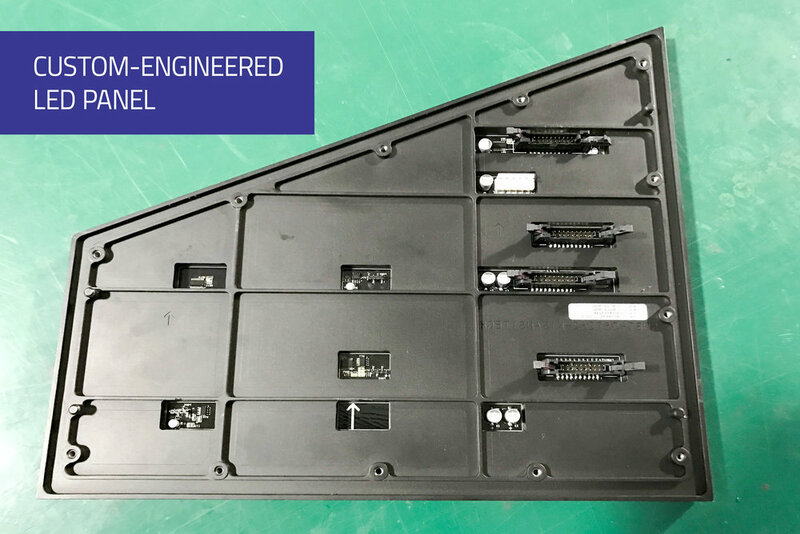 The outdoor 5 mm LED video display employs surface-mount device (SMD) pixel technology, where the LEDs in each pixel are packaged together, allowing for crisp, clear imagery and a widened viewing experience. SNA continues to provide an industry-leading array of interior and exterior products offered with SMD packaging technology. 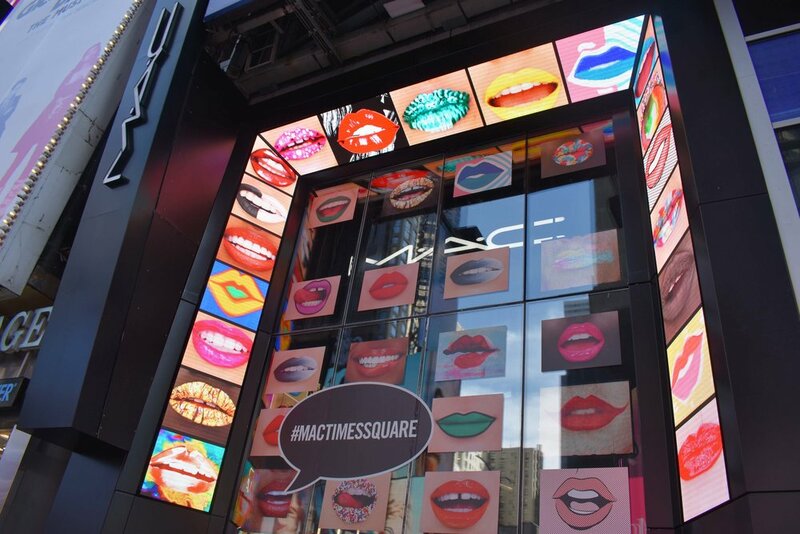 Contact SNA for information on LED video displays, mixed-use venue technologies, or other products and services offered by SNA.